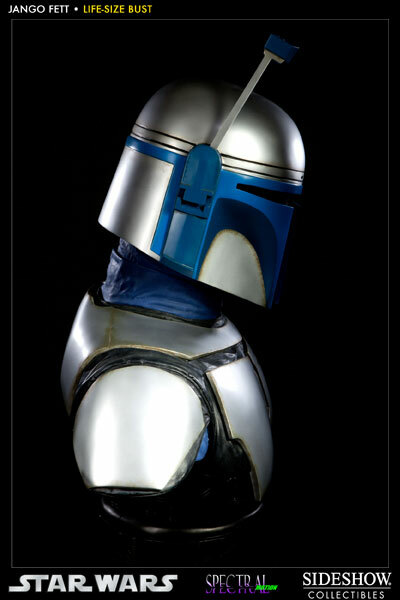 Sideshow Collectibles proudly presents newest entry in our Star Wars Life-Size bust collection, Jango Fett. In partnership with Spectral Motion effects studio, the famed bounty hunter has been sculpted with meticulous attention to detail. 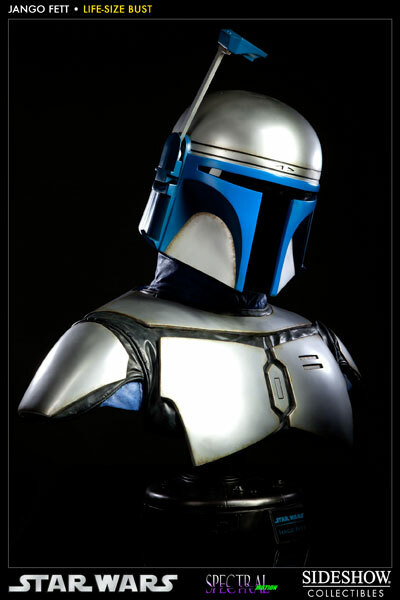 Captured in real life 1:1 scale, the Jango Fett Life Size Bust measures over two feet tall; each piece is individually painted and finished to create an outstanding, hand crafted addition to any Star Wars display. 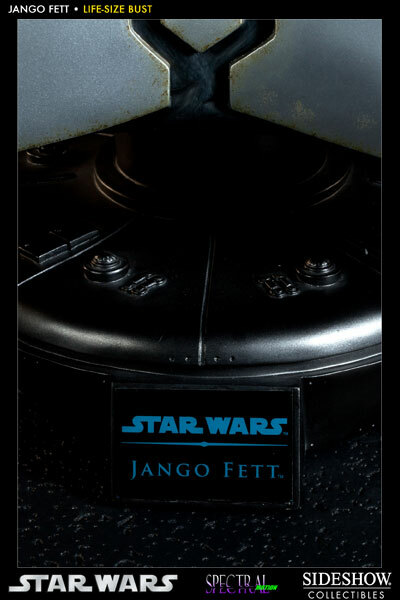 The name Fett carries with it a cold air of dread and competence. To those with the credits to hire him, it is synonymous with success. To those with reasons to fear, Fett means capture or death. 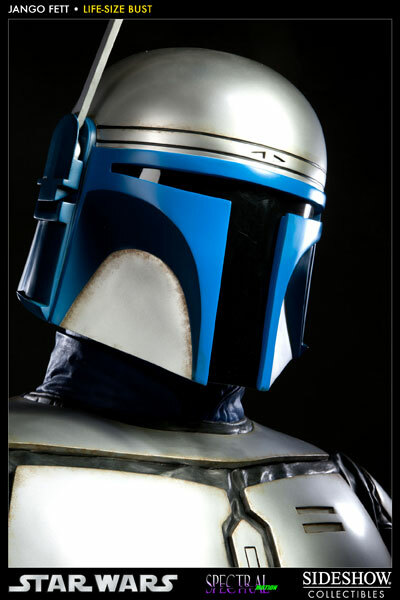 The name and reputation are just two of the many things Boba inherited from his father, Jango. 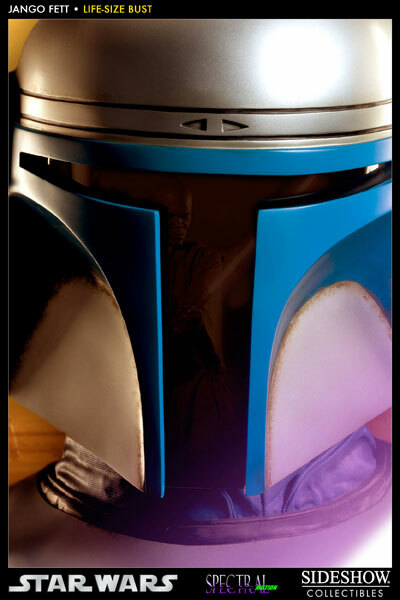 In the final years of the Republic, Jango Fett was regarded as the best bounty hunter in the galaxy. 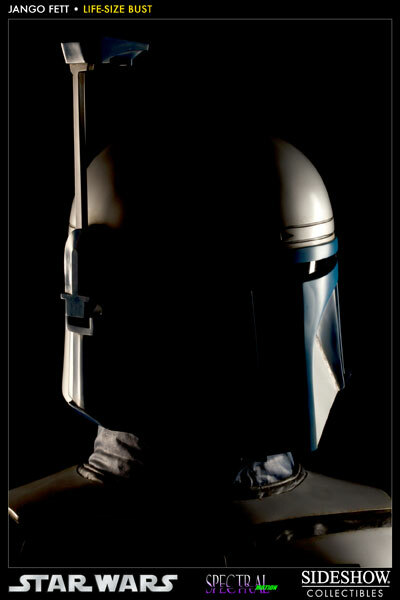 A proficient marksman and unarmed combatant, Fett was approached by a man named Tyranus about a decade prior to the outbreak of the Clone Wars. There, on the moons of Bogden, Tyranus offered an intriguing proposal. In exchange for a sizable fee, Jango would become the template of a clone army. Fett agreed, but with an unusual stipulation in his contract. In addition to his fee, he would be awarded an unaltered clone of himself. Unlike his other duplicates, this clone would not undergo growth acceleration or docility tampering. 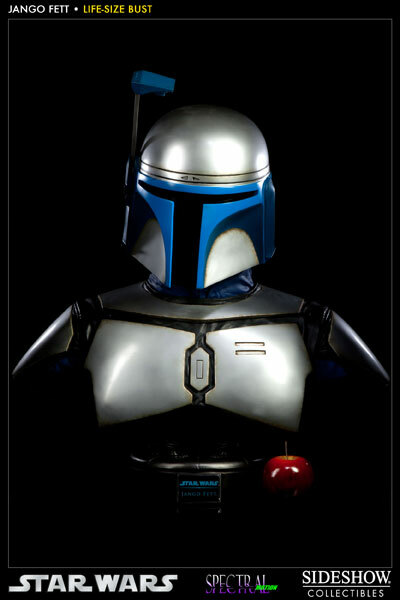 It would be a pure replica of Jango, whom he would name Boba and raise as his son.